Mindfully handmade designer apparel for the entire family. Lifestyle brand Rum Punch is a delightfully colorful and vibrant apparel line made from super soft, luxurious, organic and sustainable fabrics like hemp and bamboo and features a modern fit. Kids and baby collection Petit Punch recently launches with more to come for the rest of the family. Our lifestyle brand is for people who think differently, who go against the grain, who say what they feel and dare to take action. People who want to make a difference in the world and who want to live the Life they Love. Sold exclusively at RumPunch.com. The vibrant tie-dyed goods with inspirational messages are designed and made in Los Angeles, CA USA by designer Sybile Kohn-Deutschman. A wardrobe stylist in an earlier llife, Sybile believes that clothing is not only a reflection of how you feel about yourself and the world around you, but fashion can also change you from the outside in. She gets her inspiration from growing up on islands like Tahiti, St. Barths and the Dominican Republic, as well as sailing the Caribbean with her family. “You’re never too young to inspire others and you’re never too old to live the life you love,” she says. She appreciates the importance of slowing down, staying connected and keeping the colorful spirit of the islands in her everyday life. Sybile has created an empowering, uplifting and environmentally conscious brand that encompasses a love of life, a respect for nature, the spirit of adventure, excitement for the unknown and the belief that giving is just as important as receiving -the company works with The Teen Project. 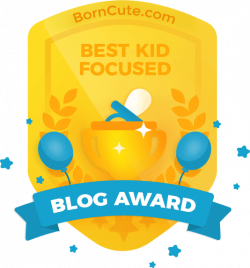 And since life is more than just bringing up kids, check out Sybile’s blog. For her, it’s a Rum Punch Life! Incidentally, all of the Rum Punch product shots are taken by photographer (and Sybile’s husband) Robert Deutschman. View more of his work at www.robertdeutschman.com.